Being pregnant and soon breastfeeding, I feel like I am always snacking and always hungry! Sometimes, it is hard to find a healthy AND tasty snack that I WANT to eat! 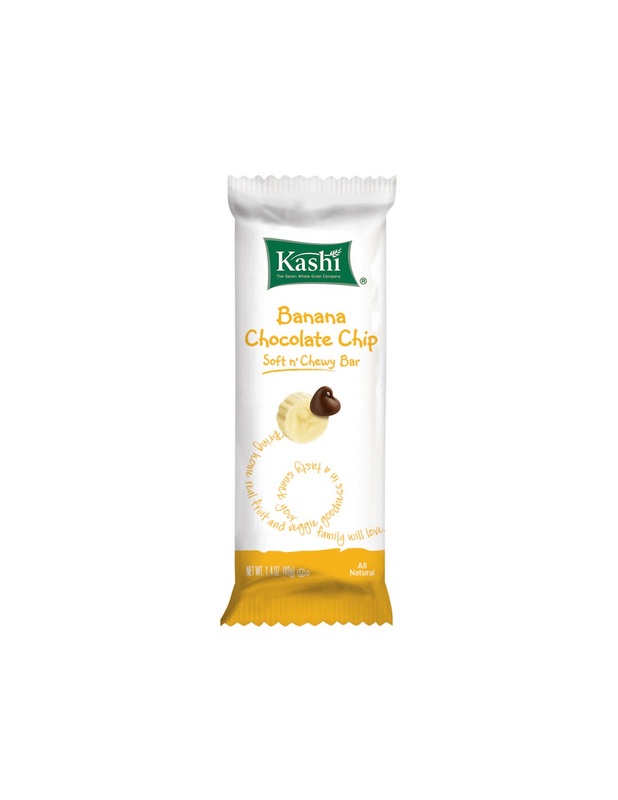 Lately, I have found both healthy and delicious in the new Kashi Banana Chocolate Chip Soft n’ Chewy Bars! With a yummy flavor combination of soft-baked banana bread and dark chocolate chips, each tasty bar provides one half serving of fruit and one half serving of vegetable for a naturally delicious and nutritious snack that the whole family will love. 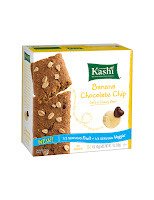 Kashi Banana Chocolate Chip Soft n’ Chewy Granola Bars offer soft-baked, whole food nutrition you can see and taste through Kashi’s signature blend of 7 Whole Grains, naturally sweetened with real fruit and rich dark chocolate. Each bar provides half a serving of fruit from apples and bananas and half a serving of vegetable from pumpkin, 4g of fiber, 3g of protein and 9g of whole grains. Made with all natural ingredients and no high fructose corn syrup, these bars are ideal for lunchboxes or a quick anytime snack. Sometimes, I have a tendency to lean towards the sugary, fattening, and unhealthy snacks...especially lately during the last stage of my pregnancy! With nursing right around the corner, I REALLY have to watch what I eat so I can feed my daughter the best nutrients possible. 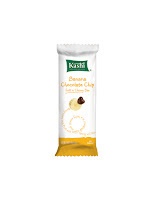 When I am hungry lately, I have been reaching for the new Kashi Banana Chocolate Chip Soft n’ Chewy Granola Bars! These bars taste just like homemade banana bread with a nice little crunch from dark chocolate chips! I also love the super soft and chewy texture! I LOVE that just one bar gives me 1/2 serving of fruits AND vegetables...all while being tasty and satisfying! They are not overly sweet but sweet enough to calm my sweet tooth and give me great nutrients! Best of all, it contains no ICKY ingredients like high fructose syrup - just all natural ingredients! 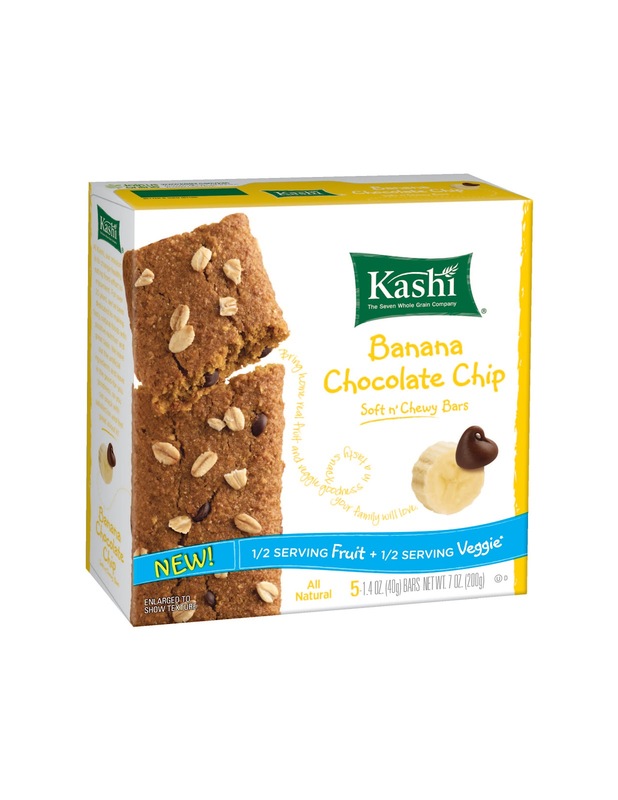 That is why Kashi is one of my favorite brands and they have come through for me again with these delicious Kashi Banana Chocolate Chip Soft n’ Chewy Granola Bars! Buy It: You can purchase Kashi Banana Chocolate Chip Soft n’ Chewy Granola Bars at grocers and natural food retailers nationwide for a suggested retail price of $3.89.